Minety 1st XV consolidated their position near the top of the Dorset and Wilts Division 1 North with a 31points to 17 win over Devizes at Minety on Saturday 10th October. The home team raced into an nearly lead when scrum half Max Sparrow bagged the first of a hat trick of tries with Jack Ward adding the conversion from far out on the left. Losing centre Luke Radcliffe to injury, the home side pressed Devizes back and Sparrow scored his second try in the 16th minute from a tap penalty near the visitors’ line. Devizes hit back with a penalty and then a converted try before Dale Hicks crashed over for his maiden try for Minety after a fine reverse move in the backs. 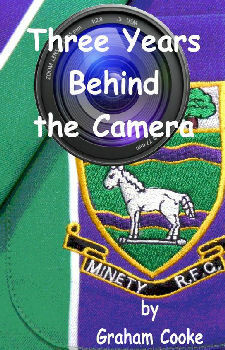 Minety extended their lead to 14 points when Gareth Graham picked up at the base of a scrum and scored to ensure Minety’s crucial league bonus point but the home team were made to sweat when Devizes struck back with a converted try to leave the score 24-17 with minutes to go. Minety’s win was secured in the dying moments when Sparrow scored his third, diving over a ruck of players to score beneath the posts. 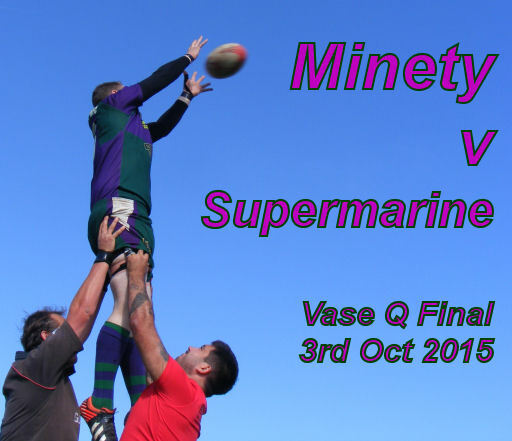 Next week Minety take on Blandford in the semi final of the Dorset and Wilts Vase.